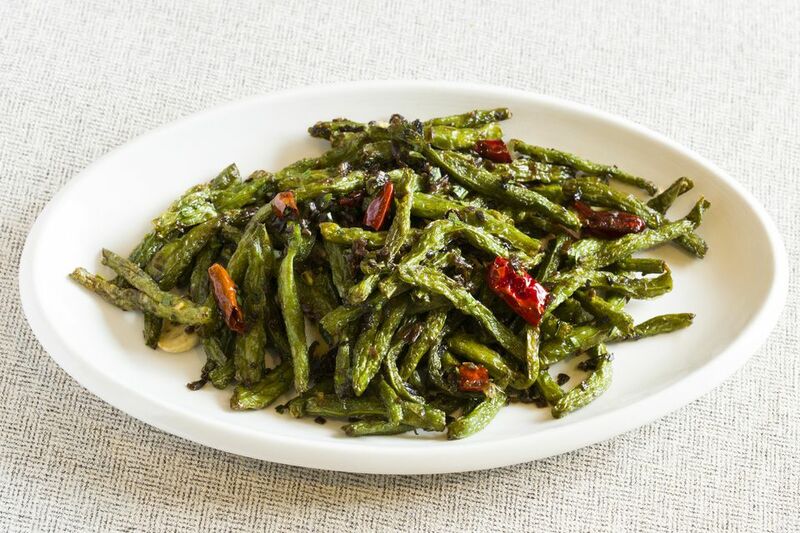 This is the popular Chinese restaurant dish featuring stir-fried green beans. It comes from the Szechuan region in western China and, like many Szechuan dishes are highly seasoned. The secret to making Chinese green beans is a cooking technique called “dry-frying" (gan bian) or frying the green beans until the skin starts to "pucker" and turn brown. This makes them extra tender. You can prepare this dish that will serve four people using green beans (also called string beans or snap beans), haricots verts, or Chinese long beans (pictured in the photo). 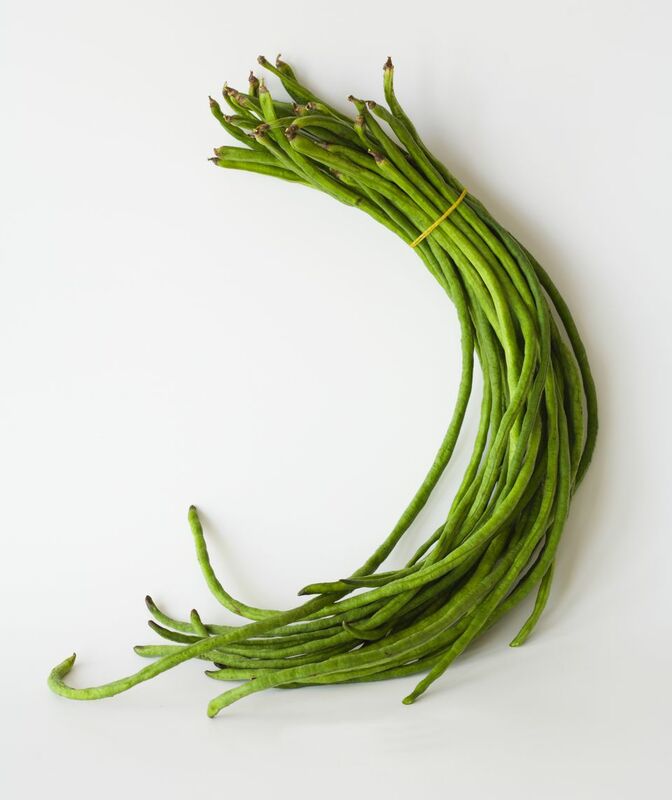 Wash 1 pound of Chinese long beans, haricot verts or green beans, drain thoroughly, and trim the tops and bottoms. Cut the green beans on the diagonal into slices approximately 2 inches long. Chop garlic to equal 1 tablespoon, ginger to equal 1 tablespoon and finely chop the white parts of two green onions. Set aside. Heat 1 tablespoon oil over medium heat in a wok or skillet. Add the green beans and stir-fry until they start to shrivel or "pucker" and turn brown (6 to 7 minutes for long beans). Remove the green beans from the wok and drain in a colander or on paper towels. Heat 1 tablespoon oil in the wok on high heat. Add the chopped garlic, ginger and green onions. Stir-fry for a few seconds, then add 1/2 teaspoon chili paste and stir-fry for a few more seconds until aromatic. Add the green beans and 1 tablespoon dark soy sauce, 1/2 teaspoon sugar, 1/4 teaspoon salt, or to taste, and pepper to taste, if using. Stir everything together, and taste and adjust the seasoning if desired. Serve hot. Chinese green beans would make an excellent accompaniment to this recipe for mapo tofu.